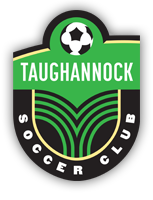 The Taughannock Soccer Club was founded in Trumansburg, New York, on May 18, 2003. A group of soccer enthusiasts identified a growing need for a locally organized and supported soccer program that would meet the specific needs of area players. The Taughannock Soccer Club is affiliated with New York State West Youth Soccer Association and participates in the Tompkins County Soccer Association, the Broome County Soccer Association, and the Upstate New York Premier Soccer leagues. TSC was founded by Chris Bond, a teacher of Earth Science and Physics in the Trumansburg School District for 35 years, who was instrumental in bringing organized soccer to the Trumansburg community. As stated in the Club’s by-laws, soccer education and fun for all youth and adult participants are the primary objectives of the Taughannock Soccer Club. No player shall be excluded from Club activities due to inability to pay membership or player fees. Every player can expect to play at least half of every game he or she attends. To foster, teach and advance the game of soccer by developing, promoting, and administering recreational and competitive soccer for all ages (youth and adults). To encourage and support a competent staff of adult volunteers (coaches, managers, referees, board members, etc.) through exposure to continual developmental and training programs. To advance the soccer skills of all players through age-appropriate player training provided by qualified coaches. To promote and encourage recreation, physical fitness, and a community spirit around the sport of soccer. To foster and encourage sportsmanship and leadership among all players, coaches, volunteers, and parents.